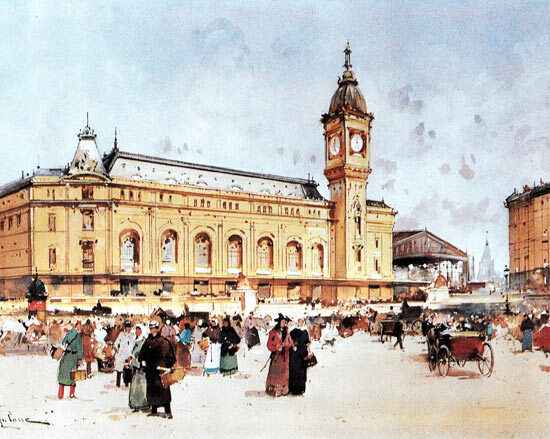 The Railways first appeared in England at the beginning of the 19th century and expander rapidly in France. By 1860 the French trains were carrying up to five-hundred tons of goods. 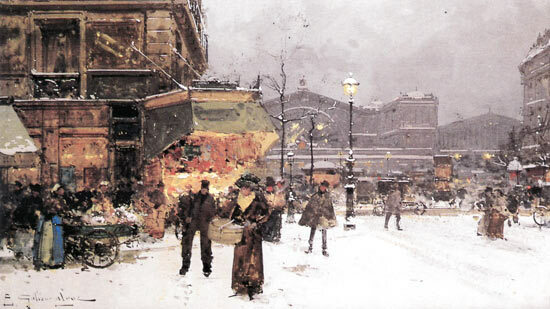 Galien Laloue liked to walk anonymously and execute rough sketches in the street. 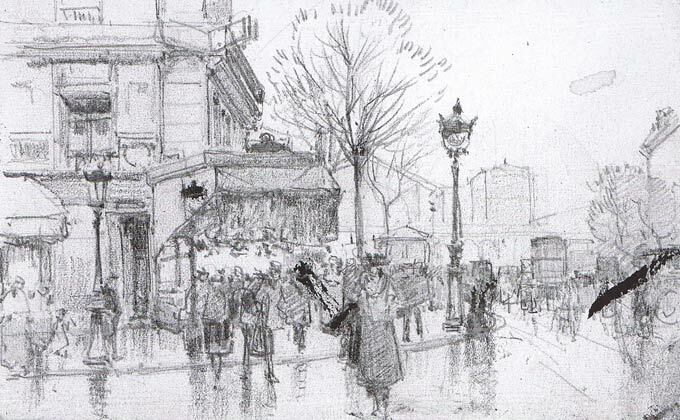 Here are a few different paintings of the Gare de l’Est with the general stone at the corner and the figures looking more or less lively, depending on the rainy, dry or snowy weather: an opportunity for Galien Laloue to work differently each time. 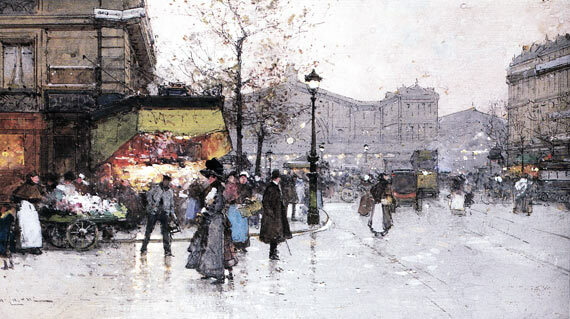 « One can enter Paris through one of fifty-one gates or one of four posterns when coming from the few villages located on the outskirts of the city and by one of twelve railway stations when arriving from anywhere else in the world. Hence the stations are the real gateways to Paris.